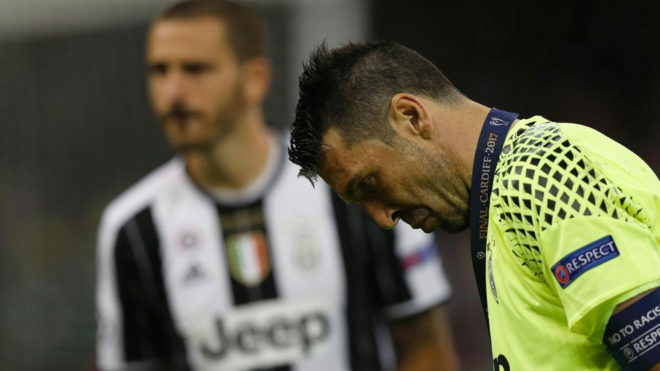 A distraught Gianluigi Buffon explained after Saturday’s Champions League final that Real Madrid were deserving winners, having triumphed 4-1 win over the Old Lady in Cardiff. With the loss, the Champions League continues to evade the Juventus goalkeeper, who has never won Europe’s elite club competition despite his illustrious career. “It is a great disappointment,” Buffon said after the match. “We thought we had enough to come into this final and win. Despite their brilliant performance in the first half, the wheels came off for Juventus after the break, with Real Madrid racing to victory. “In the second half their class and experience of winning this type of match showed and they are deserved champions,” he added. This could be Buffon’s last shot at winning the Champions League, with the 39-year-old edging ever closer to the end of his career.